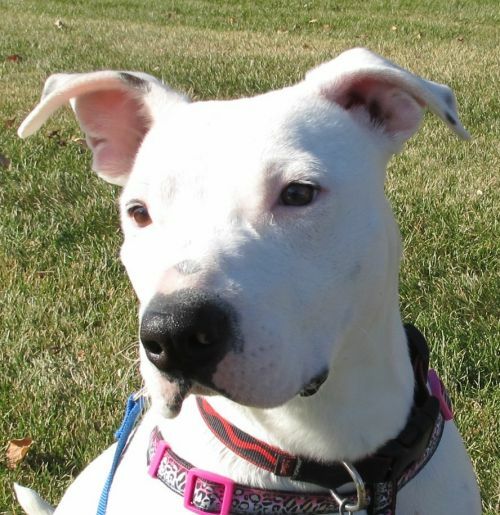 Trudy is a two year old pittie mix who came to us because she needed a fresh start. A few days before Trudy came to us, she was kicked by someone. We noticed she was walking different on one of her back legs. After xrays, found out that the head of her femur was cracked, and she needed surgery. Trudy had Hip surgery on 11/20/18. She is using her leg, but after surgery, it always takes awhile to build back all of the muscle mass that was there before. Even now, Trudy will run around and play, and she can do stairs just fine. She does still have a limp and the leg will overall be weaker until she builds back the muscle she lost over the past couple months. 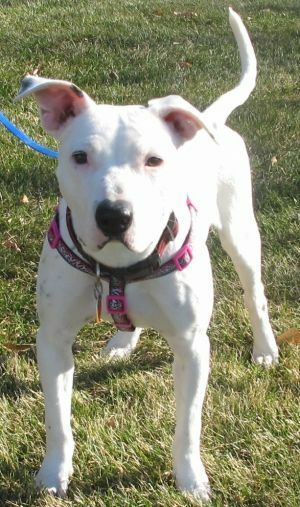 She is a very sweet girl who does well with people, and is good with other dogs. She likes to play with toys and other dogs. She will bark at visitors initially but will warm up pretty quickly. 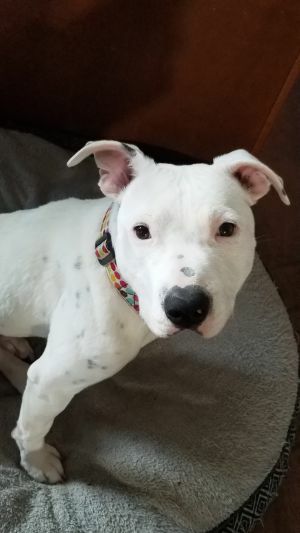 She is used to being kenneled when people are gone, and since her surgery, she has had a few more accidents than she did before, but she has been healing and trying to get back on her feet. All dogs need a housetraining refresher when moving to a new house and routine. Trudy weighs about 40-45 pounds and with her surgery, the most important thing is that she maintains a healthy weight and doesn't become overweight. This dog will be at the Woodbury Petsmat on Saturday from 11-2 looking for a home!